Among the destinations we cover, Italy occupies a special place. It’s the place we live in, it’s one of the most popular European countries, and it’s stunning! Here we will tell you all about Italian culture, traditions, gastronomy and whatever made the country a top holiday destination for so many years, but we will also give you essential tips for travelling to Italy and detailed guides to cities and regions. Planning a trip to Italy your own is totally possible. With a widespread railway network, international and domestic flights, urban and extra-urban buses, great hotels, and a huge choice of restaurants not only in big cities but also small towns, you can organize a perfect Italian holiday for you and your family. If, on the other hand, you prefer to enjoy a relaxing holiday without the hassle of taking care of the logistics, check out G Adventures tours. Their 14-day Iconic Italy tour will take you to explore the country’s ancient history, its Renaissance past as well as its natural beauty. The itinerary includes stops in Italy’s most popular destinations impossible to miss if it’s your first trip, such as Florence, Venice, Rome, and Pompeii. Their Ultimate Italy trip, too, lasts two weeks, and you will visit the Cinque Terre, the Como Lake, the beautiful Tuscany region not only in Florence but also Pisa, Siena and its famous countryside, and obviously Rome. This tour misses Venice, so if it’s not your first time in Italy, it’s great as you’ll see new places. 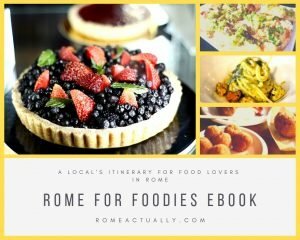 If you don’t have so much time and can travel for a week, their Highlights of Italy tour is a crash course of all things Italian or at least the most important ones. You will see legendary masterpieces like Leonardo Da Vinci’s Last Supper in Milan, Piazza San Marco in Venice, the Leaning Tower in Pisa, Rome’s Pantheon and the Vatican City. Athletes and outdoors fans will love G Adventures’ tours to Mont Blanc. Their 8-day Mont Blanc Explorer tour between Italy and Switzerland requires some fitness skills as you will be hiking at pretty high altitude, rafting, and engaging in other optional activities. Most of all, you will be enjoying the beautiful views of places such as Chamonix and Courmayeur. Click here for more details and to see their current offers. On a similar note, by booking G Adventures’ 10-day Trekking Mont Blanc tour you will be up for a more challenging trip. You will spend your holiday trekking the Alps in France, Italy, and Switzerland enjoying memorable views of glaciers, deep valleys, and the Mont Blanc. Best Florence walking, food, and day tours.